Money and fools are soon parted, or so the saying goes. Taking a look at the new Mustang 4000V, I soon realised that the buyer of this machine was certainly no fool when parting with his money. From Brian Walker's reckoning, he was the second person in the country to own and operate a skid steer loader. 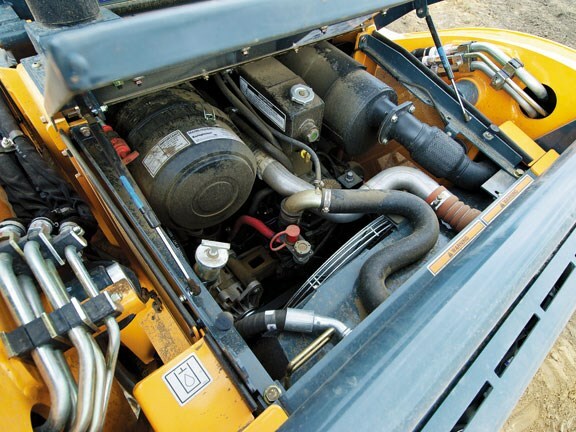 Way back in 1974, he was busting his guts using a tractor with front-end loader on a soft site when Aussie Barry Semmell stopped in and suggested he take a look at a 'new-fangled' skid steer loader they were marketing — a Melrose 610 Bobcat. Seeing it in action, he quickly realised the potential and purchased one, despite the huge price difference compared to the machinery he was accustomed to. 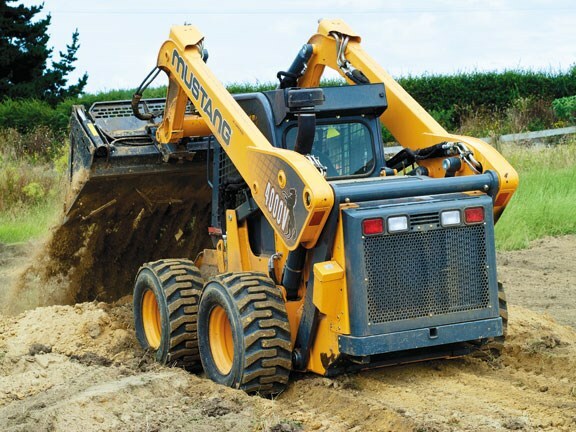 This led on to many years of doing skid steer excavation work around the greater Auckland/Waikato region before hanging up his boots due to an (unrelated) injury. 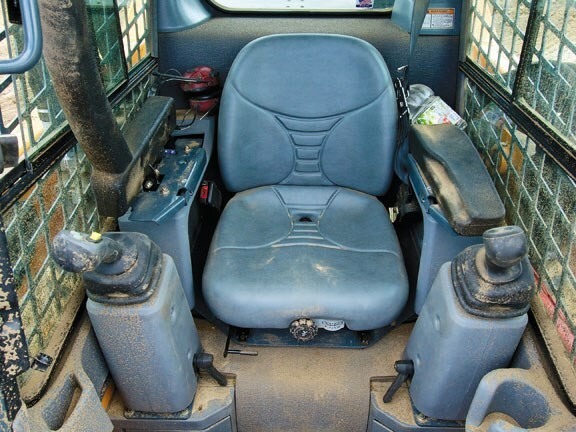 A period of 14 years would pass, but the hankering to jump back into the cab of a skid-steer remained. Doing his research, Endraulic Compact Equipment was the last on his list to visit as he had owned three Mustang 545's and wanted to see what else had come onto the scene during the intervening years. Walker saw the Mustang 2109 for the first time and thought "Wow, I have to one of those" — then went off to purchase a truck. Endraulic company owner, Blair Sargison suggested to a colleague that Walker was "a tyre kicker" after he had left the premises. Not so, as Walker returned shortly thereafter, sat down, and wrote a cheque for the new Mustang 2109. That was in 2005 and the 4.7-tonne Mustang 2109 model served Walker well, up until shortly before we recently turned up on-site to see what he had traded up to. 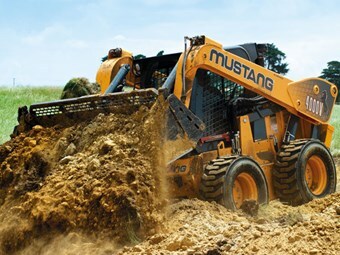 Walker's new Mustang 4000V is marketed as a 'beast', and running a 74kW (99hp) Cummins tier-3 turbocharged engine it is said to be the world's most powerful skid steer loader. "When I saw the machine, I again just had to have it", says Walker. The new skid steer is a few hundred kilograms heavier than the Mustang 2109 predecessor and has height to the bucket hinge pin of 3647mm, which is 40mm higher than the previous model. The ability to achieve a high height is in the clever design that enables a near vertical lift and Walker says the extra weight in the rear is definitely beneficial when loading high-sided tippers. The 4000V's dumping height of 2916mm is almost 200mm higher than the 2109 model. On the day we visited Walker he had just clocked over 27 hours, having taken delivery of the 4000V the previous week. Preparing a site to receive two dwellings, Walker and the Mustang were a couple of hours into the job. Watching the work go on, I was reminded of all the work that used to be done in years gone by with traxcavators and how they were ideal for moving spoil across distances. Of course the 4000V was doing it way, way faster, but I had been looking at a job being done by one person. Nowadays it would more than likely be a truck and excavator combo — a more costly option. With a rated capacity of 1814kg, the big 4000V must have been moving at least a cubic metre of spoil each time the bucket dug into the ground. Couple this with racing across the site and compacting the ground as it goes, I could quickly see the benefits of the large skid steer machine. Having operated skid steers for many years, this is his tenth new skid steer. 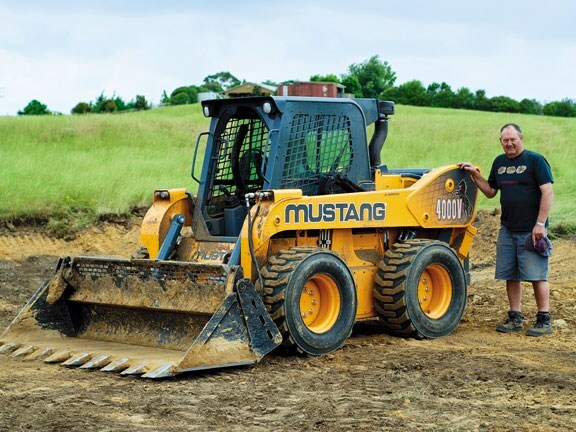 Walker was quick to point out the benefits of the machine, and he speaks highly of the Mustang brand and the backup service he receives from Endraulic. Walker and his new machine will soon be relocating to Oxford in the South Island, and it's assured that mainlanders will be at the receiving end of his skid steer work before too long. He has kept the tracks from his last machine to help in wet conditions and may possibly even look at fitting a door on the cab of the machine to keep out the cold winters.